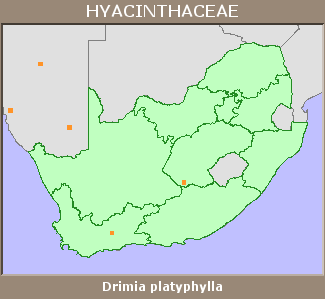 Widespread across western South Africa and also recorded from central Namibia. Manning, J.C. and Oliver, E.G.H. 2009. Hyacinthaceae: Drimia oliverorum (Urgineoideae), a new species from southern Namibia. Bothalia 39(2):225-227.